The last time I was in PNG I was 11, and it was the summer before I started high school. Sporting a new short haircut suitable for the tropics, I spent two weeks with my aunt, uncle and cousins who were living in Port Moresby. They showed me things I’d never seen before: mangoes fallen from the street trees and rotting on the ground, strange animals, seas with small biting things in them, Highland villages, markets. Then there were the daily afternoon thunderstorms. I turned ‘as brown as a berry’ in the days when that level of sun exposure was considered something to aspire to. Leroy, on the other hand, had never been before and I was pretty keen to see the country again as an adult. Solange and the kids have also decided to join us for our final day. 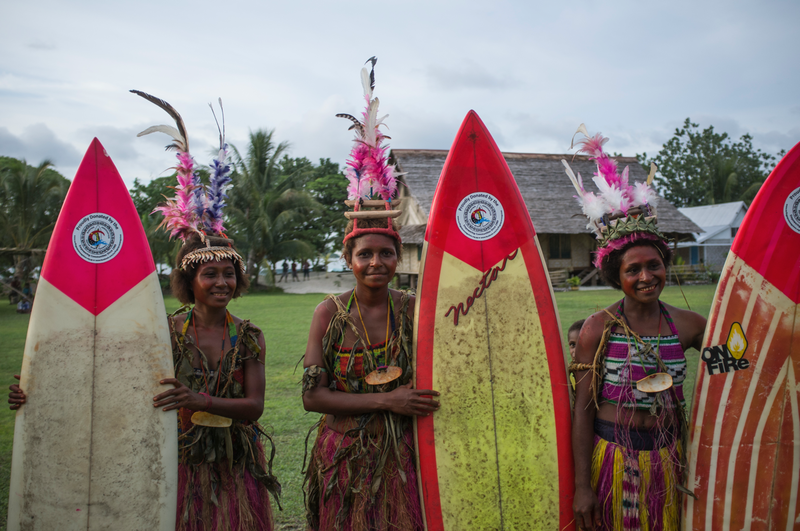 850 distinct cultures speaking almost half the world’s living languages, and the wildest, most biologically diverse place you can image, Papua New Guinea is in some ways the final frontier. I kind of hope it stays that way. It has a shared biogeography with Australia, but while Australia dried out and stayed flat, PNG developed into a wet, mountainous place with active volcanoes. Animals that died out in Australia have survived here and have continued to evolve in amazing ways. It’s not set up for mass tourism at all, which I love, although I imagine it could get frustrating at times if you were here in real life. This morning we’ve been in Goroka in the Eastern Highlands Province, surrounded by mountains and coffee growing under the canopy of the forest. 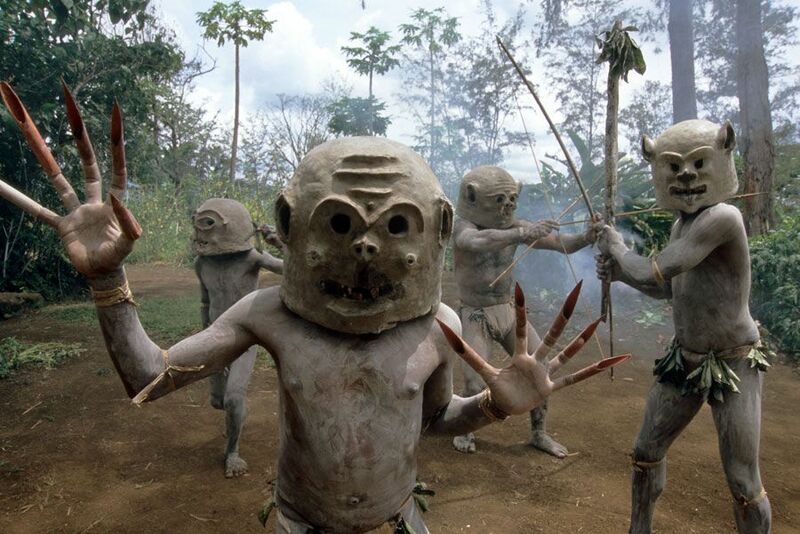 While the coffee is a bonus, we’re really here to visit the village of Asaro, famous for its mudmen – warriors who used to plaster themselves and their huge masks in grey mud before heading off on raids. If we stump up enough kina, the Asaro men will re-create the scene for us. Not an altogether authentic experience, but I’m sure it’ll be worth it for the visual drama. 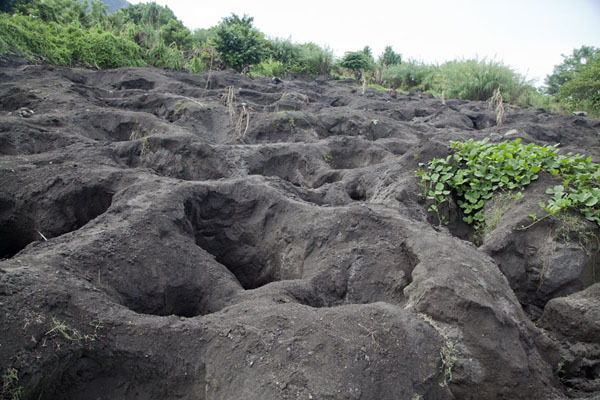 This afternoon we’re going for a volcano hike, being careful not to fall into any Megapode ‘nests’; they bury their eggs in the hot volcanic soil, using geothermal energy to incubate them. We’re also going to stock up on bilims at the local market, give surfing a whirl at Vanimo (Leroy of course is already an excellent surfer), and head back to Goroka tonight to take part in a farewell Sing Sing, with dancing, suckling pig, yams and other festive delights.